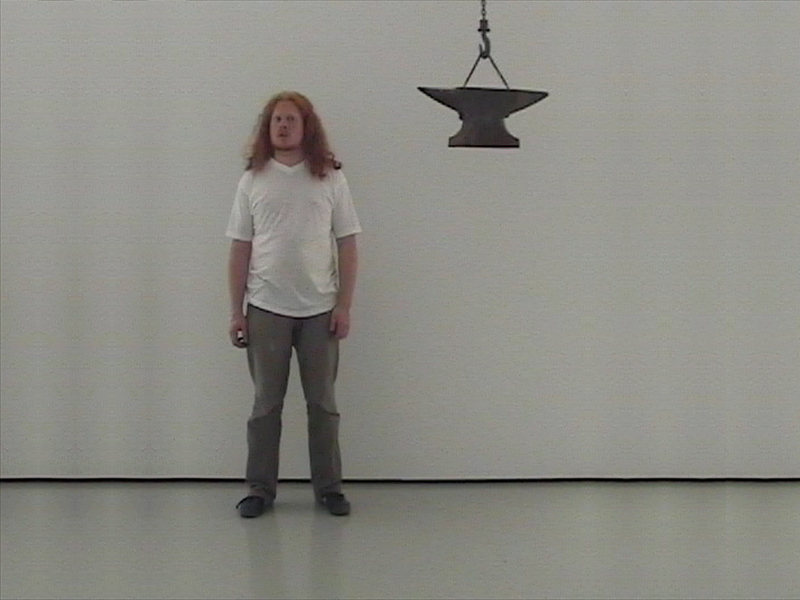 2006 | PAL Video | 1'16"
In the video Dropping an anvil Beckers plays with the age old slapstick cliché of a falling anvil. Although in real life this should be a potentially dangerous act, in this video Beckers is not in any danger at all. The anvil is not actually 'dropping', but it's merely slowly being lowered right next to him. 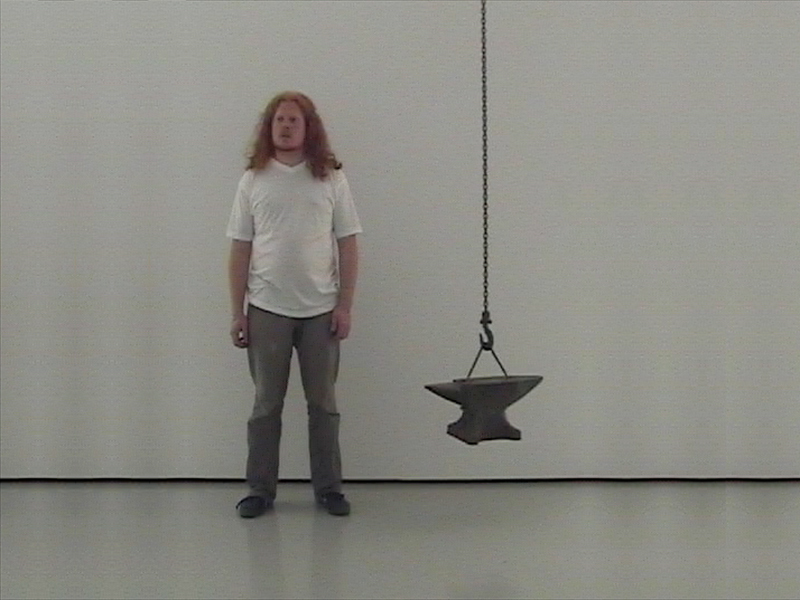 So instead of panicking, the artist simply waits until the anvil has safely touched the floor.